Translator French English Or English French: What Makes A Good Translation Service? Translator French English or English to French words and phrases is something you are likely looking for today to act as an interpreter. While translation is written, and can be meticulously checked for errors before being sent to clients, interpretation happens – generally – in real-time. This can be via the telephone, face-to-face or over a broadcast to television or the internet. When a language translator or interpreter is doing their job well, they are not even noticed so much by the listener or watcher. However, when a translation is bad, attention is drawn away from the person talking and to the interpreter. It is easy to spot a bad translation – not just when doing a French to English translation, but in all languages, such as Arabic or German. It's not just something we see, we hear it in the disjointed sentences that come out. But what makes a good language translator or interpreter? Well, firstly, they need to be good listeners to translate. Real-time translation requires a balance between listening to and translating the speaker's words and phrases with accuracy, while also retaining the feel and emotion of the speaker. This can mean the difference between an adequate translation and a near perfect translation. As such, interpreters have terrific motor and cognitive skills, as well as a sensory understanding to properly convey messages to the listener or listeners in the conversation. However, every interpreter will have at least one story of dealing with a difficult to understand speaker. Some people can speak in such an esoteric, abstract manner that can throw an interpreter off course. A recent example is that of Japanese video game giant Nintendo which held a conference in January 2017, presenting its new video game console to the world live on the internet. The live linguist, working from Japanese to English, was left absolutely bewildered when an eccentric, difficult-to-comprehend game developer went off-script. It's why good translators need to demonstrate resilience in the face of difficult translation. While the above example was for a light-hearted occasion, live translations can be required during murder trials or medical emergencies. 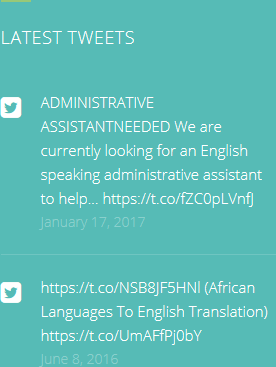 So, if you need good English and French translation in real-time, you need a translation expert that can cope with pressure. While inflexibility is becoming harder to see in today's working environments of micro-managing and multi-tasking, it is absolutely essential to be flexible when providing the best French and English translation service. Interpreters don't have the luxury of translations to check over their work and correct any mistakes – they are very much at the mercy of context. It means that there is a lot that is out of their control. For example, when performing an English translation to French at a conference, they cannot just leave when a conference is going on – even if their working hours are up. Presentations can run over time; delegates can be late; weather can impact starting times. In these situations, a translator cannot simply leave because the clock hit 5PM – this line of work requires dedication and a high work ethic. 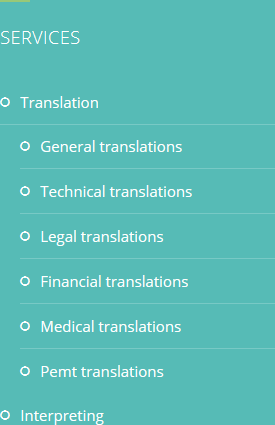 This is precisely what you should be looking for from a Translator French English or English to French provider. That flexibility doesn't just come from an individual interpreter, it also comes from their employer. Given that translations can be required with little notice, an interpretation and translation company needs to be on stand-by for all times of the day and night. If no-one is available to translate, the best translation services will have the contacts needed to find a solution. It's precisely what can be achieved by HQ-Translators. The team provides translation and interpretation services in over 30 languages across Europe, Africa and the Americas. Our language translator team is ready to provide translations and interpreter services around the clock and around the globe. When it comes to providing translator French English or English to French at an event or conference, our professional translation specialists only use the highest quality of audio equipment that meets all international standards. We're not just restricted to translation of French or English, we also provide translation in Chinese, Arabic, German, Spanish, Italian, Turkish, Dutch and many other languages. 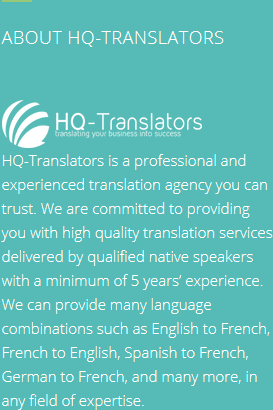 Find out why so many clients are happy they used us at HQ-Translators to provide translation and interpretation by visiting https://hq-translators.com. Or if you'd like to talk to our team right now, just call (00 237) 242 71 38 38, email infos@hq-translators.com or visit the website and fill in the contact form.